The Antimilitarist Network of Latin America and the Caribbean (Red Antimilitarista de América Latina y el Caribe, RAMALC) have published a statement in solidarity with antimilitarists, conscientious objectors, nonviolent and pacifists in Venezuela (an English version is forthcoming). It extends support to the community of human rights defenders being persecuted for their work. The statement has been endorsed by the WRI Executive Committee. La IRG ha emitido una declaración condenando el asesinato de Tahir Elçi, Presidente del Colegio de abogados Diyarbakir, importante abogado de derechos humanos y muy conocido como “enviado de paz” en Turquía. La declaración expresa la solidaridad de la IRG con la familia, amigos de Elçi así como con las activistas por la paz de Turquía. También hace un llamamiento a las autoridades turcas para que investiguen concienzudamente y de manera imparcial su asesinato. Die WRI hat ein Statement herausgegeben, in dem der Mord an Tahir Elçi, dem Vorsitzenden des Anwaltsverbands von Diyarbakir, verurteilt wird. Tahir Elçi war ein bekannter Menschenrechtsanwalt und in der Türkei als „Botschafter des Friedens“ bekannt. Das Statement drückt die Solidarität der WRI mit Tahir Elçis Familie, FreundInnen und FriedensaktivistInnen in der Türkei aus und fordert von den türkischen Behörden, dass sie seine Ermordung gründlich und unparteiisch untersuchen. Tahir Elçi, Chairperson of the Diyarbakir Bar Association, a prominent human rights lawyer and a well-known figure as a “peace envoy”, was killed on 28 November 2015 in Diyarbakir, southeastern Turkey. He dedicated his life to peace and human rights. His last words were “We don’t want weapons, clashes and military operations in the birthplace and home of many civilisations” at a press conference a few minutes before he was shot. 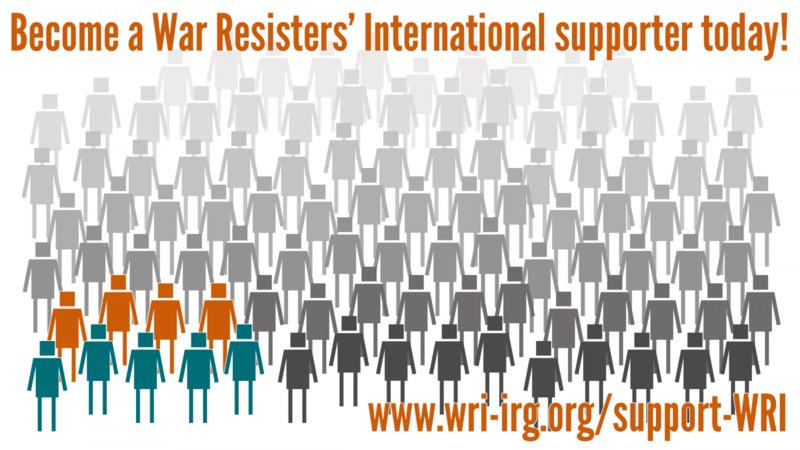 War Resisters' International (WRI) is concerned for the safety of its members and of their fellow human rights defenders in Venezuela. On 13 May the President of the National Assembly, Diosdado Cabello, publicly shared details of the travel arrangements of WRI member Rafael Uzcátegui from the Venezuelan Programa Venezolano de Educación-Acción en Derechos Humanos (Program for Education and Action on Human Rights - PROVEA), as well as those of Carlos Correa from Espacio Público (Public Space). The information was shared in Diosdado Cabello’s weekly television show “Con el Mazo Dando”. On this programme the work of human rights defenders is regularly questioned and details of their whereabouts are shared. The president of Venezuela, Nicholas Maduro, has described NGO workers who criticise the government as 'bandits', and called for the production of a documentary to be broadcast on television exposing the 'truth' about the work of human rights organisations. Among other details, on “Con el Mazo Dando” Diosdado Cabello announced that Rafael Uzcátegui and Carlos Correa were travelling to Chile to meet the former coordinator of PROVEA. This information had only been shared in private online communications, so there is cause to believe these communications are being monitored by the authorities. Sharing such information puts Rafael, Carlos, and their friends and colleagues at risk. It arms militant government sympathizers with the information they would need to intimidate or attack them.